CBD is one of the most beneficial compounds now growing in popularity today. With the right CBD products made of the quality products, you’ll be able to read a lot of benefits, from less pain down to treating various medical conditions. But did you know that CBD oil, in particular, can help in more ways than one? It isn’t only meant to treat physical conditions, but can also help with mental health, too! You’ll be surprised by the mind-blowing benefits of CBD oil for pain and anxiety. Wondering why? Read on as I show you the top five benefits CBD oil has to offer! 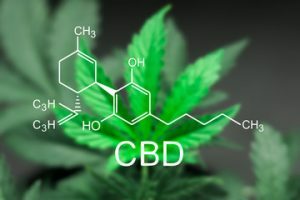 What Is CBD Oil and How to Take It? Before anything else, what is CBD oil in the first place? CBD is cannabidiol, which comes from cannabis plants. The extract is turned to oil, which has cannabinoids, binding to your specialized receptors in the brain. The CBD you use does NOT make you high. THC is what causes a high, though this is just one of the many types of cannabinoids available. Cannabidiol (CBD) doesn’t produce the high that people are afraid of, which is what makes it even more beneficial. The oil can be added to food, drinks, or taken alone. Just a few drops can work, and it doesn’t have any reported severe or adverse side effects to worry about. READ Why Glutamine Is Important For A Healthy Life? Many pieces of research on CBD have looked into its effects on anxiety. Small studies have found that cannabidiol can reduce the symptoms of social anxiety and other mental disorders. Participants have experienced changes in blood flow to brain regions which were linked to anxiety. Furthermore, research shows that CBD oil has both antidepressant and anti-anxiety effects, which can be used as a promising treatment for various disorders and anxieties. While the reports are still quite limited, the possibility is huge. This is all thanks to the calming (not high as people say) effects that the CBD oil is able to provide to those who use it. The effects of CBD oil on the brain receptors can help manage pain greatly. Its known to treat chronic pain though impacting brain receptor activity, which reduces inflammation and helps interact with neurotransmitters. There has been research which shows that CBD oil creates painkilling and anti-inflammatory effects, which have people manage pain better. Back pain has been significantly reduced by many, and those who suffer from insomnia due to chronic physical pain have now slept better after taking CBD. It helps with pain because of how CBD affects the endocannabinoid receptor activity. A good combination of CBD and THC is known to help treat pain related to arthritis and multiple sclerosis. Yes, CBD Oil can also help with your heart health! Thanks to the endocannabinoids, it’s known to reduce high blood pressure and maintain a healthy heart rate. As a result, there are fewer chances of suffering from a heart attack and strike. Of course, this must be matched with a healthy diet and exercise routine. 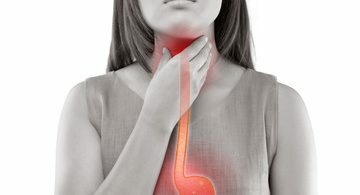 Using CBD can help reduce symptoms which are related to cancer, as well as the side effects related to the treatment of it, including pain, nausea, and vomiting. Those treated with a mix of CBD and THC have experienced better pain reduction compared to taking THC alone. CBD can help reduce nausea and vomiting from chemotherapy naturally, without the need to take harsh medications. Some tests done on animals have also shown how CBD may have anticancer properties. It’s shown to be greatly effective in killing breast cancer cells. But more studies will need to be done on people to conclude its affectivity on this. Just like how CBD can help reduce stress and anxiety, it can also impact your brain and help with neurological disorders such as multiple sclerosis, Alzheimer’s, Parkinson’s, and epilepsy. The research is still new, though it shows the promising results. It’s helped reduce muscle spasticity for those who have multiple sclerosis. It has also helped with the symptoms of epilepsy, particularly the seizures. Another study shows how CBD oil can reduce the seizure activity in children who have Dravet syndrome compared to taking a placebo. And don’t worry, it doesn’t give the high feeling! Besides these, studies show that it as helps improve the quality of sleep and life in those with Parkinson’s, as well as decrease inflammation and neurodegeneration for those with Alzheimer’s. There has been researched shown how CBD has a host of benefits for the circulatory system and the heart, with the ability to lower high blood pressure. Because of having healthier blood pressure, it lowers the risk of heart conditions like strokes, heart attacks, or metabolic syndrome. A study shows how taking CBD oil has helped reduce resting blood pressure compared to taking a placebo. It’s also helped keep blood pressure in a healthy level during stressful situations, thanks to the stress and anxiety-reducing properties found in CBD. Other than that, CBD is also known to reduce cell death and inflammation associated with heart disease! CBD oil isn’t something bad or a shame to take, especially with the many people who are using it to treat illnesses today! With its abundance of benefits without the adverse side effects, it’s worth trying out to see if it works for you. I hope this article on the mind-blowing benefits of CBD oil for pain and anxiety informed you well! So don’t wait any longer and buy pure CBD today with discounts! You can use discounted coupons to stay within your budget without scrimping on quality. If you have any questions or want to share your experiences with CBD Oil, then comment below. Your thoughts are much appreciated.